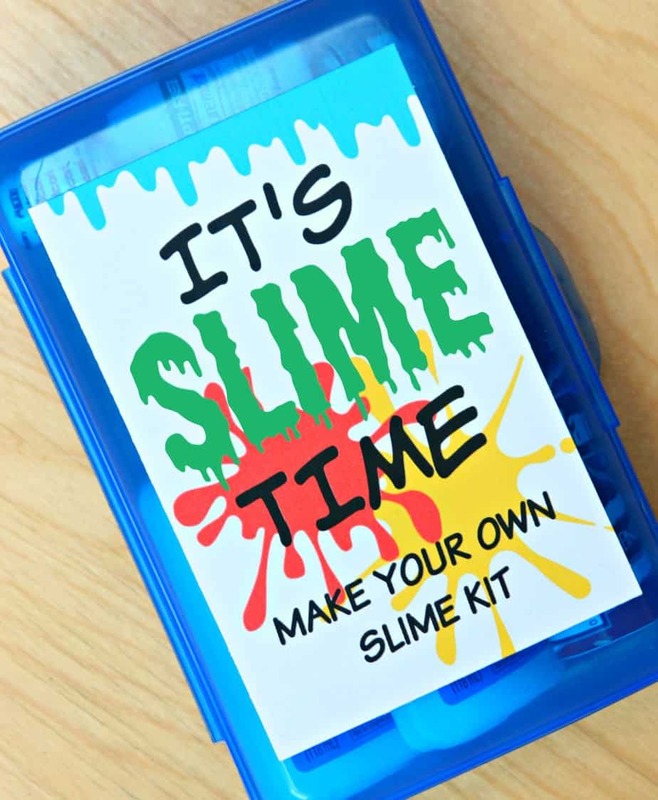 Put together a fun and easy DIY Slime Kit in minutes with the free printables I’ve created just for you. It’s the perfect gift for kids! Connor was home sick last week with pink eye so we needed something fun to do. And, what do you do when you’re home sick from school? You make slime. But, guess what? We didn’t make regular slime. We made fluffy slime! This fluffy slime is easy to make and AWESOME. Connor and I both decided fluffy slime is way better than regular slime. Then, I had a genius idea. 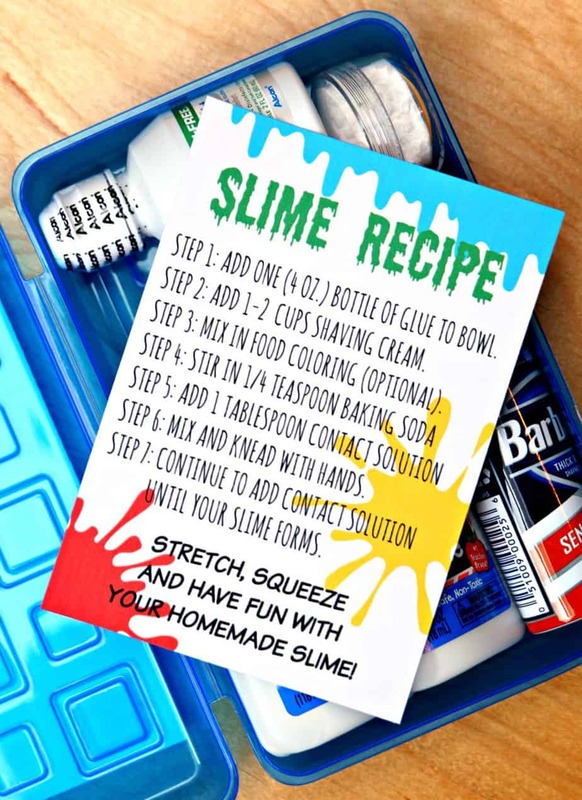 Connor has a birthday party to go to this weekend and we put together a DIY Slime Kit. Connor and all of his friends are obsessed with making slime so this is the perfect birthday gift for kids. It’s the easiest gift to put together. All you need is glue, shaving cream, contact solution, and baking soda. Put everything in a plastic pencil case and you have the perfect gift for kids who love to make slime. I even created two FREE printables for you to include with your DIY Slime Kit because I love free printables and they were fun to make:). Click below to download and print. 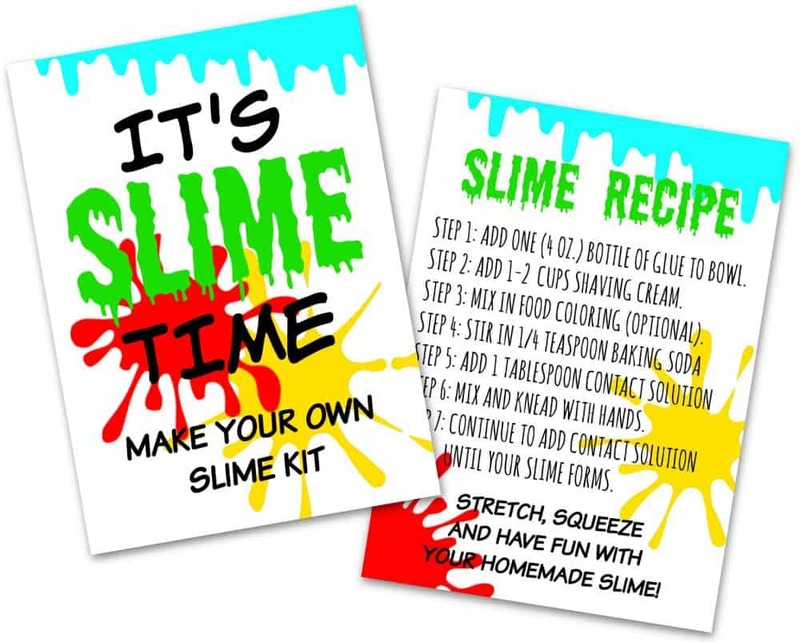 Want to make your own slime kits? Add a small amount of baking soda to small plastic travel container. Place everything inside plastic pencil case including the printable direction to make slime. Tape label to the front of the pencil case. That’s it! 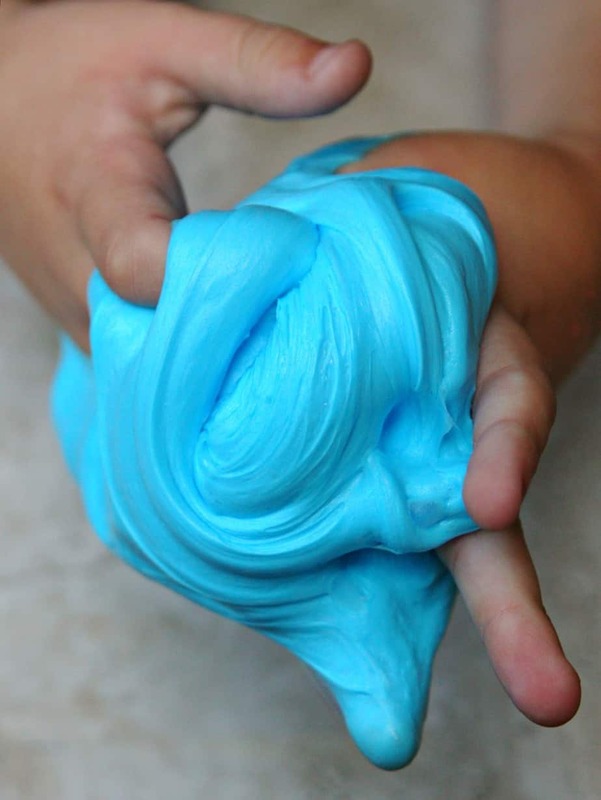 A fun and easy DIY Slime Kit that every kid will love and an awesome recipe for fluffy slime. Thanks for this great idea!!! My son and I are making slime tonight! I can not print the printable. It asks you to sign up and then even after you do you can’t print it. I’m thinking of giving these out as party favors. How much did you spend on one kit? I would say each kit costs between $8-$10 to make. You might be able to find a lot of the items at the dollar store so it may be a little cheaper. What is the contact solution for the slime?